Why Are Middle-Aged White Americans Killing Themselves? A new study (pdf) released by Princeton University researchers Anne Case and Angus Deaton shows a steady long-term increase in the mortality rate of non-Hispanic white Americans aged 45-54. This runs counter to the trend we see among other industrialized nations and even among U.S. Hispanics. Josh Marshall considers the implications of this trend. For middle-aged whites, if mortality had simply held constant at 1998 levels until today, 96,000 deaths would have been avoided through 2014. Had the annual rate of decrease in mortality rates continued at the pre-1998 levels, fully 488,050 deaths would have been avoided through 2014. Step back for a moment and absorb that number. Whatever this phenomenon is, since 1998 it has accounted for almost half a million premature deaths. Half a million! As the authors note, the only comparable instance in recent US history is the AIDS epidemic which took the lives of 650,000 Americans from 1981 to 2015. Even more disturbing is the breakdown in causes of death. 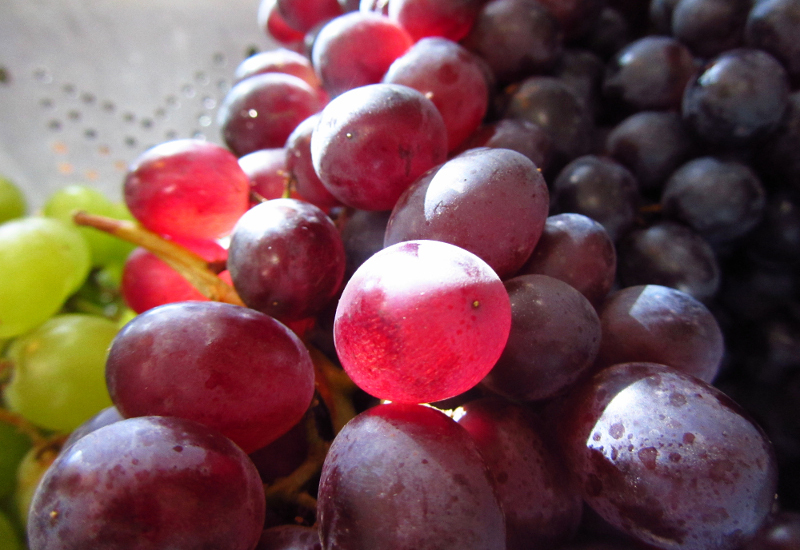 The three causes that are growing are poisonings, suicides, and liver disease. The researchers explain that "poisonings" is shorthand for drug- and alcohol-related deaths. In other words, these are just as much self-inflicted as the deaths attributed to suicide. Liver disease, too, can often be attributed to alcohol consumption. Beneath the often febrile and sometimes race-tinged Republican talk about Obama "radically tranforming" America, or being a socialist whose erasing American 'exceptionalism' or various other regular themes on Fox News, one fairly straightforward, clear message is almost always discernible: The country people know, their country, is being taken away from them. We have grown accustomed to seeing a large segment of the body politic ready, indeed almost relishing the opportunity to break the state if it cannot control it. 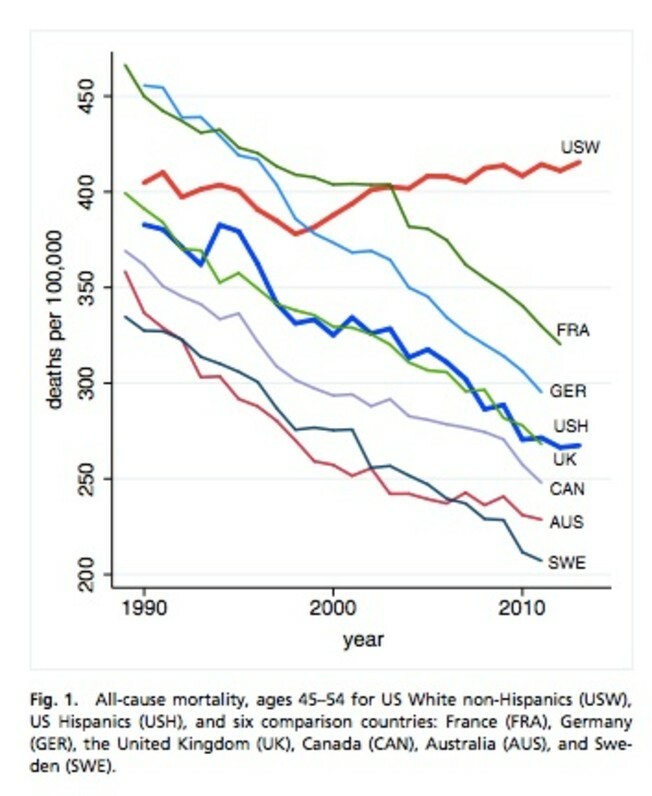 The increase in the middle-age white death rate is happening just as the nation is becoming less white. Is there a connection? This calls for further study.